Last 50 seats to go, Register NOW!! 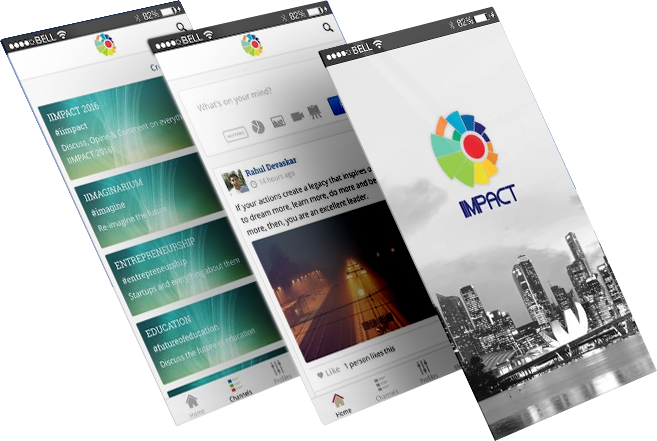 IIMPACT 2016 will be a unique, un-conferenced experience. A state-of-the-art venue, world-class inspiring speakers, curated Alumni experiences, meaningful networking sessions and an enhanced digital presence. Register now ! 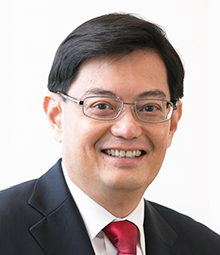 Mr Heng Swee Keat is the Minister for Finance and Member of Parliament for Tampines GRC. The Ministry of Finance manages the national budget, oversees corporate governance regulations, and supervises the prudent investment and utilisation of public funds and government reserves. Mr Heng chairs a national committee that is studying strategies for Singapore’s future economy. Mr Heng joined the Ministry of Finance from the Ministry of Education. During his term as Minister for Education from 2011 to 2015, the Singapore education system moved towards a student-centric, values-driven phase, emphasising the holistic development of students and educational pathways towards multiple definitions of success, regardless of students’ backgrounds. Mr Heng’s priorities included Character and Citizenship Education and the Applied Learning and Lifelong Learning Programmes for school students, increased financial and developmental support for students at all levels, greater integration of learning and working opportunities for tertiary students, increased professional development opportunities for educators, and intensive engagements with parents and the community to support educational goals. Mr Heng is the Deputy Chairman of the National Research Foundation, which sets the direction for Singapore’s research, innovation and enterprise strategies. Mr Heng has also been actively engaged in cross-cutting national initiatives that adopt a deep consultative approach and focus on the future. In 2015, as Chairman of the Singapore 50 (SG50) Steering Committee, Mr Heng helped shaped the Golden Jubilee celebrations to be a mix of nationwide events and ground-up ideas from the people. Besides reflecting on the past 50 years and celebrating today’s shared values, Mr Heng invited Singaporeans’ hopes and commitment to take Singapore towards the future. In 2012, Mr Heng led Our Singapore Conversation, a national consultation exercise that reached out to close to 50,000 Singaporeans on their aspirations for Singapore’s future. The citizens’ consensus that came out of Our Singapore Conversation went towards substantial policy reviews. Prior to entering politics in May 2011, Mr Heng was the Managing Director of the Monetary Authority of Singapore (MAS). MAS serve as the central bank of Singapore, as well as an integrated supervisor of the financial services industry, covering banking, insurance and capital markets. Mr Heng received the “Central Bank Governor of the Year in Asia-Pacific” Award by the British magazine The Banker. Mr Heng has also served as the Permanent Secretary of the Ministry of Trade and Industry, overseeing economic policy, trade negotiations, and the regulation and development of industry. Before assuming this appointment, Mr Heng was the Chief Executive Officer of the Trade Development Board. Between 1997 and 2000, Mr Heng served in the Prime Minister's Office as the Principal Private Secretary to the then-Senior Minister Lee Kuan Yew. Mr Heng has also served in various other positions in the Singapore Civil Service, including in the Singapore Police Force. In 2001, Mr Heng was awarded the Gold Medal in Public Administration and the Meritorious Medal in 2010 for his contribution to the public service in Singapore. Mr Heng graduated with an MA in Economics from Cambridge University in the United Kingdom. He also holds a Master of Public Administration from the Kennedy School of Government, Harvard University. "The only way out is in”, explains Sadhguru, renowned Yogi, spiritual master, author, poet, speaker and visionary. He has been named as one of the 50 most influential people in India. His message is rooted as strongly in worldly and pragmatic matters as in inner experience and wisdom. His much sought after transformational programme -“Inner Engineering” invites people to experience total wellbeing by embracing a scientific approach to spirituality. 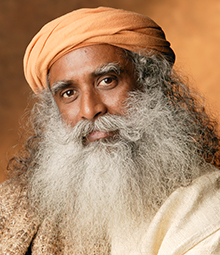 Sadhguru is also the founder of Isha Foundation, an international, non-profit, volunteer run organization with over 3 million volunteers across the world. The foundation runs large-scale grass root projects in Ecology, Education and Health, impacting thousands. He has been a delegate to the United Nations Millennium World Peace Summit, a member of the World Council of Religious and Spiritual Leaders and Alliance for New Humanity, a special invitee to the Australian Leadership Retreat, Tallberg Forum, Indian Economic Summit 2005-2008, as well as a regular speaker at the World Economic Forum in Davos, TED, YPO, WPO, Tie-CON, India Today Conclave and many more. He has also spoken at many prestigious business schools and universities of the world. His scientific and logical approach has touched the lives of millions of people from all walks of life, and his public talks frequently draw crowds of over 300,000 people. His numerous media appearances include interviews by The New York Times, BBC, Bloomberg, CNN International and CNBC. 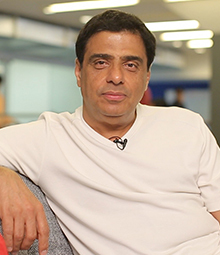 “Dream with your eyes open”, says India’s foremost entrepreneur, Ronnie Screwvala in his latest entrepreneurial venture – a book full of insights on entrepreneurship, written first-hand from the gritty experience of two decades of building businesses. Ronnie Screwvala, India’s Cable TV pioneer started his realizing his dreams by making one of the largest toothbrush manufacturing operations followed by UTV, which sold out to Disney in 2012. Newsweek termed him the Jack Warner of India; Esquire rated him as one of the 75 most influential people of the 21st Century and Fortune as Asia’s 25 most powerful. Ronnie is now involved in building the next set of businesses for tomorrow, from grounds up - U Sports focused on Kabaddi, Moto Sports and Football; U Education under the brand UpGrad that zeroes in on Online Education – in Higher Studies, Post Graduation and Specialization courses; and U Digital under the brand Arre to target the core 15-34 age group in all things digital for the 21st century. Ronnie and his wife Zarina are committed philanthropists - Founder Trustees of The Swades Foundation - which operates with the single minded focus of empowering one million lives in Rural India every 5-6 years through a unique 360 degree model with verticals in Water, Sanitation, Health, Nutrition, Community and most importantly Agriculture & Livelihood, to lift them out of poverty permanently. “Today, our mindsets are locked up in the past. We need to use technology and redesign everything around us”, is Sam Pitroda’s ask from the world. India’s foremost technocrat and architect of India’s telecommunication revolution of the 1980s, Sam Pitroda has been a leading campaigner to bridge the global digital divides. The Government of India awarded him the Padma Bhushan in 2009 for his contribution to Science and Engineering During his tenure as Advisor to Prime Minister Rajiv Gandhi, Sam Pitroda led six technology missions related to telecommunications, water, literacy, immunization, dairy production, and oil seeds. He was he founder and first Chairman of India’s Telecom Commission. In 2005 he headed India’s National Knowledge Commission (2005-2009), to provide a blueprint of reform for future knowledge-related institutions. Recently, he served as Advisor to the Prime Minister of India on Public Information Infrastructure and Innovation, with the rank of Cabinet Minister. He served as the Chairman of the Smart Grid Task Force, as well as in various reform committees to for e-governance and efficiency. 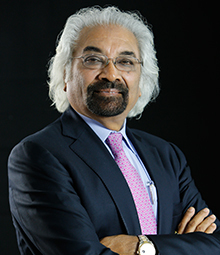 Sam Pitroda is a founding Commissioner of the United Nations Broadband Commission for Digital Development and Chairman of the International Telecommunication Union’s m-Powering Development Board that looks to empower developing countries with the use of mobile technology. A serial entrepreneur, he holds over 15 honorary PhD’s, close to 100 worldwide patents, and has published and lectured widely in the United States, Europe, Latin America and Asia. He lives in Chicago with his wife. 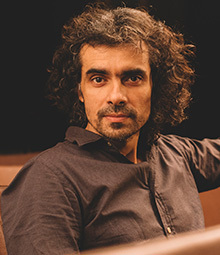 Imtiaz Ali, a director who recast the portrayal of romance in Indian cinema and enjoyed considerable box office success in the process. He stands testimonial to the fact that the cinematic palette of the Indian audience, even in the mainstream, has become more nuanced, adventurous and less formulaic. He has said that his biggest influence in his work is observing the people he meets.“To be a good storyteller one needs to be a keen observer of life.” In 2005, he made his directorial debut with the film Socha Na Tha. However, it was his second film Jab We Met (2007) that brought him success and fame. His 2009 film Love Aaj Kal gained much critical success, and was declared a super hit at the box office. His movie Rockstar (2011) was also a commercial success and created hysteria in the youth. He started his production company in February 2014 by the name of Window Seat Films. He has won Filmfare awards since 2007 for Best Dialogue, Best Director and Best Story. He has also been recognized by the film fraternity in the Stardust, IIFA and ZEE Cine awards. He hails from Jamshedpur. He graduated in English Literature from Hindu College, Delhi University. Re-imagining Future of Media: Has The News Changed India ? Talk : Reinventing Our Future - Is the Script Going to Have a Happy Ending ? Talk: Re-imagining Future of Media: Has The News Changed India ? Talk: Re-imagining Future of Entertainment: Is The Script Going to Have A Happy Ending ? "The only way out is in”, explains Sadhguru Jaggi Vasudeva, renowned Yogi, spiritual master, author, visionary, speaker and philanthropist. He has been named as one of the 50 most influential people in India. His message is rooted as strongly in worldly and pragmatic matters as in inner experience and wisdom. His much sought after transformational programme -“Inner Engineering” invites people to experience total wellbeing by embracing a scientific approach to spirituality. 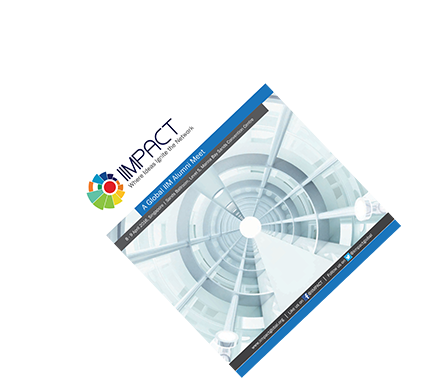 Register now FOR IIMPACT 2016! Register Now to be a part of this amazing conference!